Product prices and availability are accurate as of 2019-04-19 19:24:49 UTC and are subject to change. Any price and availability information displayed on http://www.amazon.co.uk/ at the time of purchase will apply to the purchase of this product. Super brighter:with 28 powerful LEDs bulbs, which is more brighter for what you need. 2 Levels Brightness:2 levels brightness selected - Turn on 8 or 28 LEDs to set your own brightness for different occasions.Dim light for romantic or high light for reading. 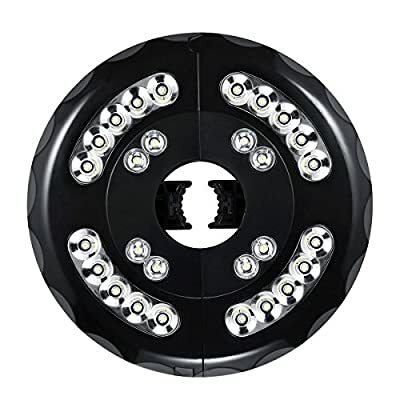 Rechargeable lights with USB charger: 2 chargeable batteries inserted and well shielded by quality thick black ABS shell.It can be fully charged only in 8 hours and light up to more than 54 hours at dim mode after fully charged. 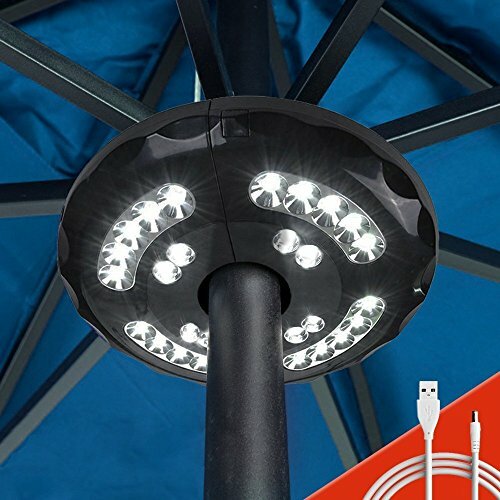 Wireless and easy to install: This outdoor lamp is much more portable than the usual ones you've got in the store.Wireless design and no tools required. Easy to clamp your umbrella with the built-in auto adjustable strong clamp. 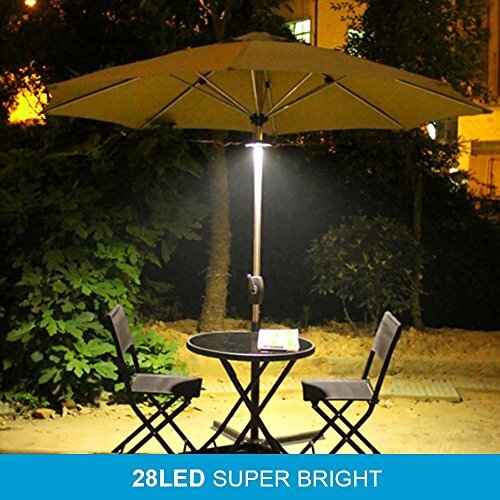 This umbrella light is very portable and convenient,you can use on Power Bank, Computer or Wall Charger indoor.